This crime drama was set in a fictional seaside California town. 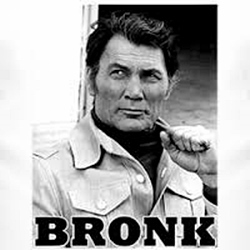 Alex Bronkov (Jack Palance), an ex-cop, is hired by the Mayor to clean up corruption in his town. Given the rank of Lieutenant Bronkov joins the Police Department but works exclusively on putting away the city’s crime bosses. He also spends his time caring for his teenaged daughter who was crippled in the same car accident that killed her Mother, Bronkov’s wife. This role has the usually darn right scary Palance as a sensitive, soft spoken thinking mans detective. He smokes a pipe and solves his crimes through intuition not intimidation. It was a chance for the actor to show his softer side and he did it well. Unfortunately scheduling killed it, it was up against the very popular Medical Center and just didn’t get enough market share to survive. 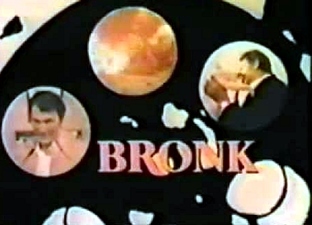 So you thought that Carroll O’Connor was just another pretty face, well besides writing and producing Bronk he also produced four made for TV movies and the series In the Heat of the Night. Need a little more, he directed In the Heat of the Night as well as The Redd Foxx Show and Archie Bunker’s Place. Wow, that Archie Bunker sure did get around didn’t he.